When considering wineries to spend a day at, there are many components in play. The quality of wine, good service, food options—the list goes on. 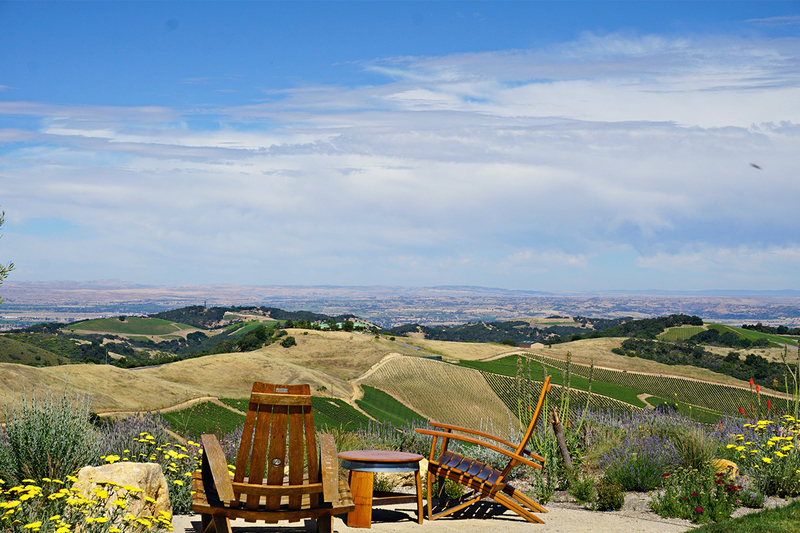 However, one checklist item that rises to the top and embodies everything about Paso Robles wine tasting is the view! 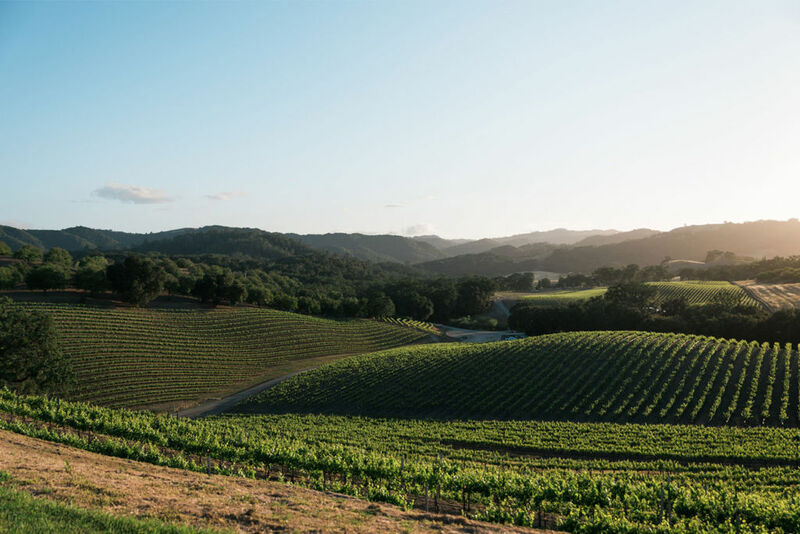 Set in the northern part of the Central Coast, the region is surrounded by rolling hills, scenic landscapes, and expansive fields of agriculture that create the thriving environment that Paso Robles wineries can produce their delicious products from. Coupled the consistently warm and sunny weather, these five venues have the opportunity to create magical afternoons that you and your loved ones are sure to remember. Take a look and see which one might appeal to you! 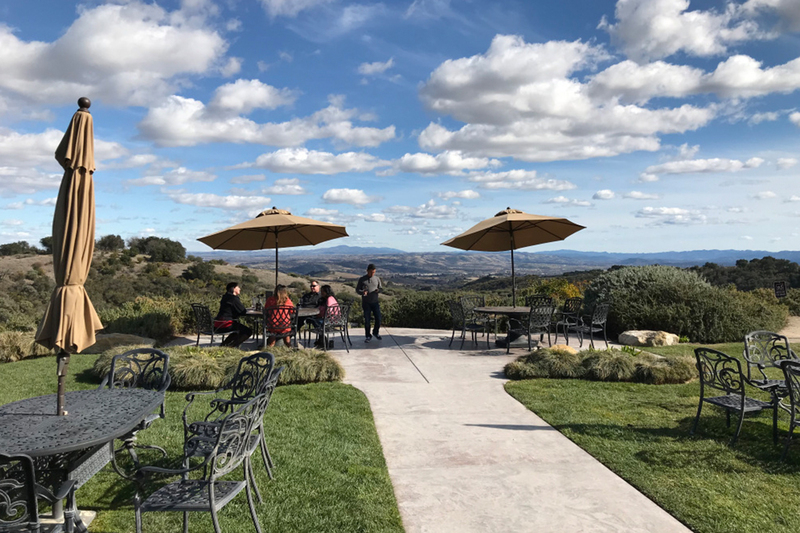 Located in West Paso Robles on Vineyard Drive, Opolo is the perfect marriage of great wine, family-led hospitality, and a view that will make you cheers your neighbor. Known for their robust and diverse varietals, Opolo has multiple scenery features that you should not miss when you take a tour of their winery. The first is right when you pull into the parking lot—the patio view of vines, fruit trees, and hillside provides a rustic temporal element to your time there, and allows you to relax immediately. Following that, you can hike up to the hilltop to have an eagle-eye view of Paso Robles landscape, which is sure to awe as well. Finally, if you care to stroll through their vineyards and orchards (make sure to ask the staff first! ), the landscaping is some of the best in the region, and will whisk you away to a magical portion of nature that pleases your senses aesthetically and maybe most importantly, with the great wine and spirits that are produced there! 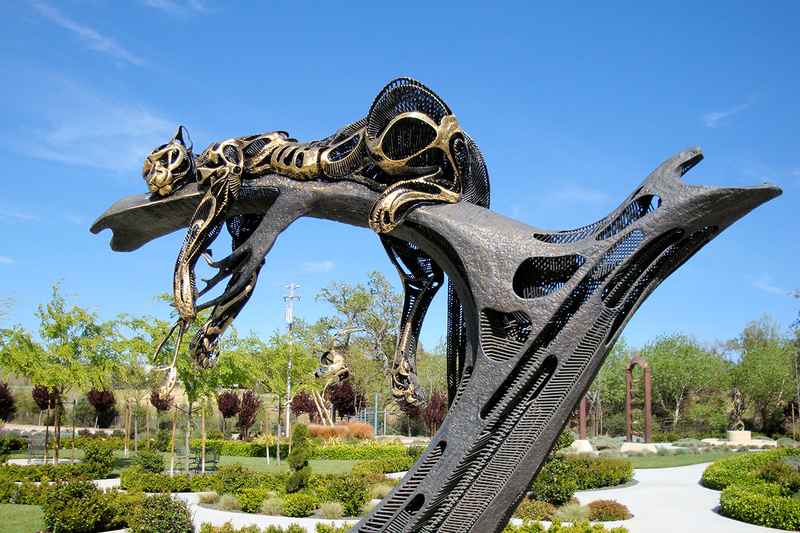 Over on the other side of Paso, Sculpterra offers a twist on sightseeing—they host both breathtaking views and a Sculpture garden! Even the massive and intricate architecture of venue provides insight as to what Sculpterra wants you to experience as a pairing with the exquisite pours you get during an afternoon of wine tasting. Mostly, the unique collaboration of modern art and classic wine country foliage around provides a fantastical element that is hard to come across at any other tasting room. When a winery is known for its views specifically, it feels like cheating to include it on this list (more of that to come). However, there is no shame in highlighting the beauty of wineries such as Calcareous that put great effort into making the visitor experience so beautiful. Their slogan is “Let the soil speak,” and it does in many ways—the taste of their products, the abundant nature that sprouts from the land, and its unique resting place on a hilltop that they affectionately refer to as ‘Lloyds Lookout’. For a great afternoon of wine tasting, be sure to pack a picnic to enjoy alongside their award winning offerings; you’re surely stay longer than intended, which isn’t a bad thing! Halter Ranch is another West Paso Robles winery that couples man-made beauty with the voluminous landscape around it. This time, the beauty lies in the tasting room itself—the high ceilings, large windows, and modern features on the inside create a sense of balance as you sip their wine and gaze out at the lush hills. With a well-furnished outdoor patio, there is no lack of exposure either, should you want to soak in some rays with a picnic and pairing. The elaborate decadence of Halter Ranch’s property is so great that they have even become a leading destination wedding venue. That’s a convincing enough sell for us to recommend them for an afternoon outing! 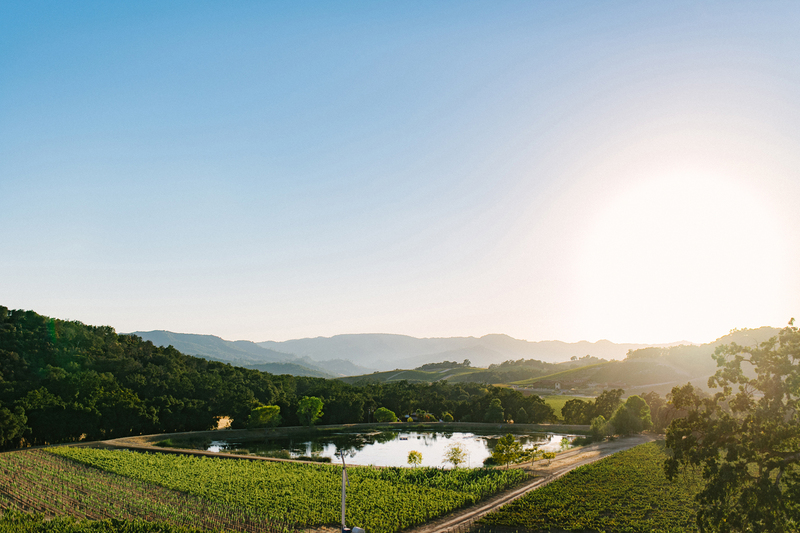 No list of scenic Paso Robles wineries would be complete without DAOU. Again, while this is a shoo-in, we would be remiss to not highlight a winery that was created for its hilltop view first. Priding themselves on bringing a Napa Valley-style wine tasting experience, DAOU works hard to produce elevated wine in an elevated setting. One thing is certain—the view transcends words. With lawn furniture provided, we recommend posting up for the sunset hours outside their winery, enjoying all that there is about this fine region. To be more explicit: if you enjoy views, make it a priority to visit DAOU! There are countless other picturesque wine tour settings to see on a Paso Robles wine tasting tour, but we tried to give you a condensed set of options. Each of the wineries we listed has their unique reasons for visiting, and would make for a perfect day out should you have the time to hit them all. We recommend booking a chartered vehicle for your group, no matter what size. After all, these views get better while drinking the products of the terrain, and wine and driving are not a good pairing! Almost everything else is, though, so take this information and use it to best enjoy yourself at a winery as soon as possible. Thinking of visiting Paso Robles Wine Country? Check out unique Vacation Rentals in Paso Robles!